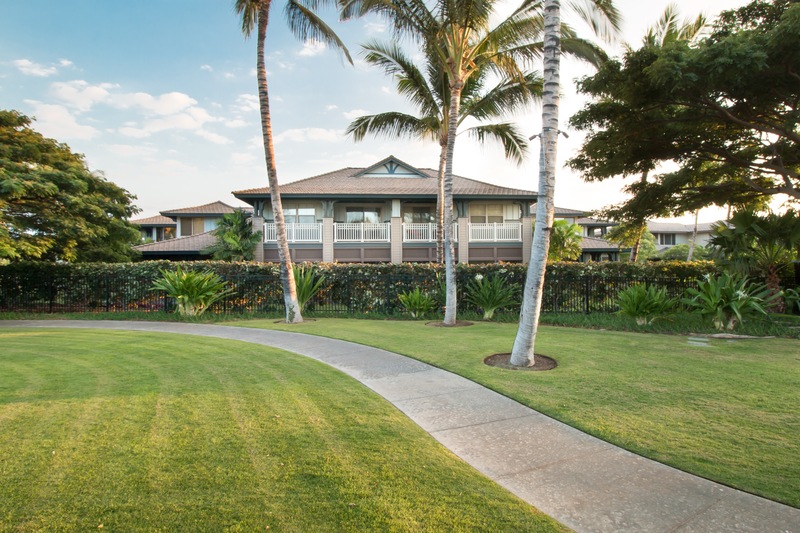 The Kulalani @ Mauna Lani Foreclosure is finally over. Stanford Carr Development lost and Prospect Lt. won. The procedure began in 2017 when Honolulu’s Prospect Co. Ltd foreclosed on SCD. Construction abruptly came to a halt. Buildings were boarded and foundations sat vacant. Fences were put up to shield and protect the properties. The attorneys battled and the ruling was finally made in November 2018. Ownership of the five finished units and 22 unbuilt units was awarded to Prospect Co. Ltd. The neighborhood is under new regimes of Homeowners Association and AOAO. Upgrades and deferred maintenance matters are being managed in a more efficient manner. The pride of ownership and endurance through the past events have given way to a strong and united community of ownership with a sense of pride again. The finished units that sat stalled during the proceeding are on the market at this time. They include 4 new townhomes ranging in size from a 2 bed, 2 bath townhome, priced at $695,000, to a 3 bed, 3 bath with a two car garage listed at $975,000. While construction has not yet been started on some of the buildings, those units will be sold upon completion. There are 6 resale condos currently on the market ranging in price from $649,000 for a 2 bed, 2.5 bath, to $950,000 for a 3 bed, 2.5 bath. Typically resale properties are sold turnkey furnished and include upgrades, such as tile flooring and window coverings. Kulalani #401 (MLS #623754) is a good example of a well maintained 2 bed, 2 bath end unit townhome. It has a strong history of vacation rental income and is in meticulous condition. This property is being sold turnkey furnished. 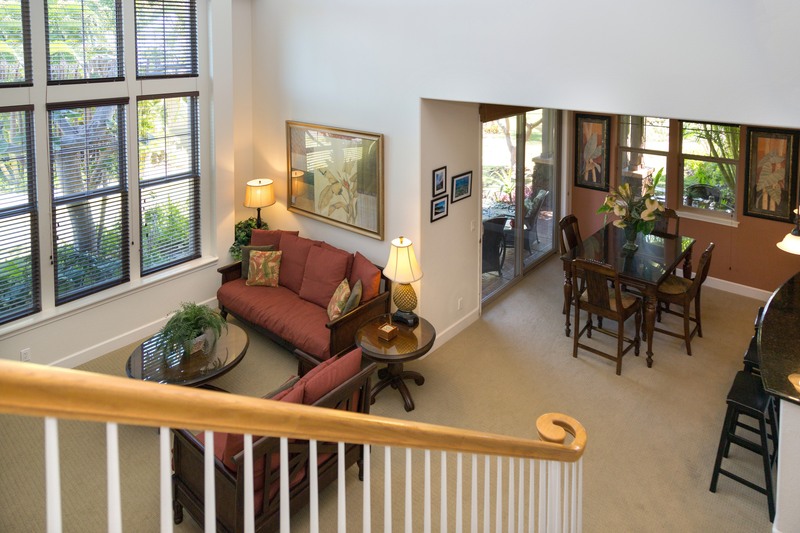 It is conveniently located on the golf course and directly across the street from the amenity center and pools with sunrise views of the golf course and Mauna Kea. I have lived in the complex for several years and am happy to share first-hand knowledge of the quiet, comfort and conveniences this beautiful complex truly has. Call me for more information on any of these properties. A hui hou! Thanks for the update, Pam. Any word on financing options at Kulalani? Good question Beth. The last two loans that closed in Kulalani were funded by Bank of Hawaii. However; in talking with the lender’s rep. today, she updates that they will no longer be able to loan on the complex due to a new lawsuit filed by the HOA against the previous developer. The suit involves a shortage of dues which the HOA claims were not paid by the developer on the unbuilt units in the sum of approximately $579,000 along with other items that the owners claim were neglected during the developer’s ownership. Unfortunately it may be difficult to obtain financing until this suit is resolved.